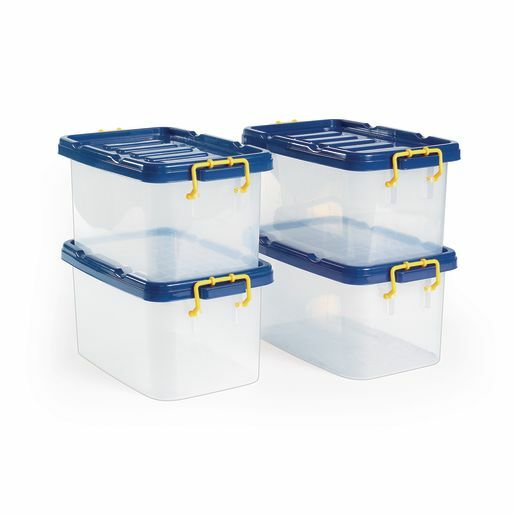 You'll be able to clearly see the contents of these clear, plastic storage bins with blue, locking lids. 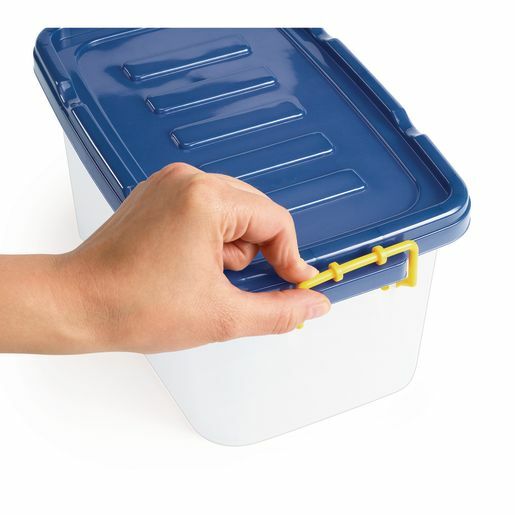 Ideal for storing art supplies, manipulatives, books and other classroom supplies. Plastic tubs are clear with blue lids and measure 11-1/2"L x 6-3/4"W x 5"H.